Hello to all my esteemed students! 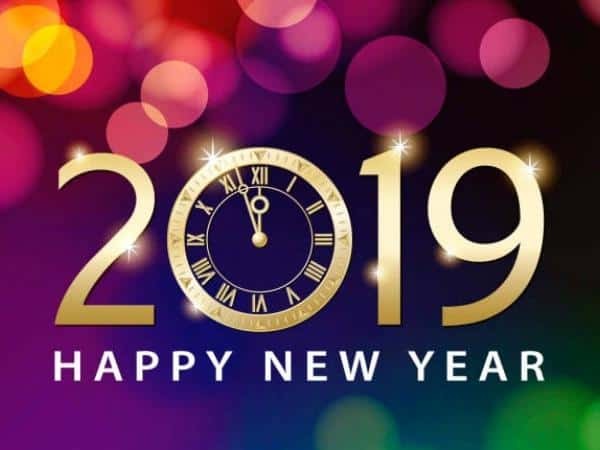 First off, I want to wish you all a Happy and Successful New Year. I wish I could say it to all of you individually, but this is the next best thing. As a little twist on my usual post covering the most viewed lessons of the previous month, I thought it would be interesting to show you guys the 10 most watched guitar lessons for the entire year of 2018. The Holidays are upon us, which means peak seasonality in the guitar industry. This is where online lessons come into play. As I mentioned in my article on how to teach yourself guitar, the best way to learn guitar from home is through online lessons. JamPlay is one of the biggest guitar teaching websites on the internet. 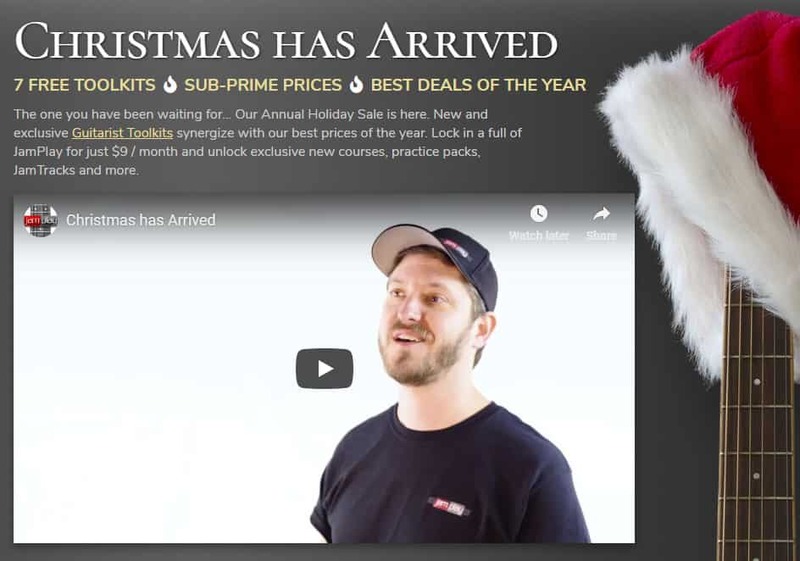 They just launched their 2018 X-mas sale, which provides nice savings over their regular pricing, as well as some extra bonuses. 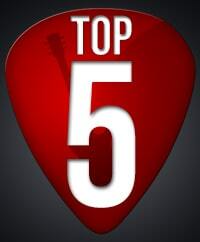 Hello everybody, welcome to another edition of the top 5 guitar lessons on TheGuitarLesson.com. If you are new to this series of posts, here is a quick run down. Every month, I jump into my website analytics program to dig into what has been working, and what hasn't. This involves analyzing which lessons you guys watch. Hoping to motivate you to pick up the guitar and practice more, I share my findings with you every month. Last months was a very exciting one. We had our annual Cyber Monday sale, which was a massive hit as always. Loads of people jumped on the discounted annual membership. Leading up to the sale, we also released several new lessons in November. Let's see if they made it to the top of the Most Watched list. 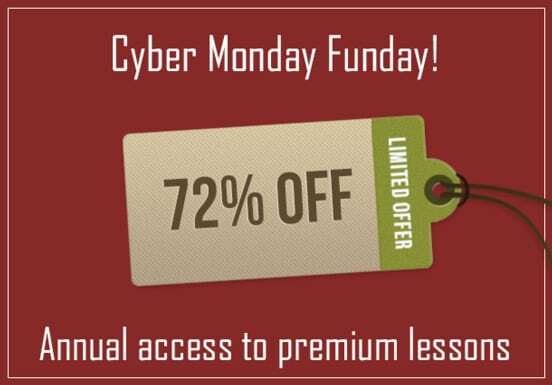 Take advantage of this once per year sale, and get a massive 72% discount off of a 1 year premium membership to TheGuitarLesson.com. For just $29 for the year, you'll get access to all of the high quality video guitar lessons on our site. You will quickly advance your guitar skills by learning songs from popular artists. Hello my esteemed guitar students, welcome to the October, 2018 edition of our post on the 5 most watched lessons. Every month, I like to dig into Google Analytics and analyze what's been happening on the site, what you guys have been learning, and so on. I share this info with you each month hoping that it will motivate you in learning new songs. Lots of students, just like you, are learning songs on TheGuitarLesson.com at this very moment. Learning new songs and techniques is a great way to keep your guitar studies interesting, and it will help you become a better player. If you already know how to play a few songs, that's fantastic. Never stop learning new ones though, otherwise you will stall and not get better. Now lets have a look at the most watched guitar lessons of the month. Hi guys, welcome to another installment of my "regular" TOP 5 posts. I used quotation marks, since I didn't write last month's post. Too many things going on during the summer for my family. We were on 2 vacations, camps for the kids, fun at the beach. It's been a great summer! Autumn is hitting us with a bang. Lots of rain, which means lots of practice time. Visitor stats have already started climbing, which is natural due to the seasonality of the guitar biz. I hope you didn't neglect our guitar during the summer (like me), but if you did, it's time to jump back into it. Here are the most viewed lessons of last month. Hello everybody, welcome to this month's report of the most popular song lessons on TheGuitarLesson.com. We're right smack in the middle of summer. Vacation time, beaches, pools, parties, BBQ. Summer is probably my favorite time of year. Most guitar players tend to slack off a bit during the summer months, when there are so many other things to do. I know I haven't been playing as much as I would want to. It's best to play your guitar every day for at least an hour. It is undoubtedly hard to get that practice time in during summer, but try. The visitor stats for the site also shows that it's summer, there had been a dip in traffic, which is to be expected. Now let's have a look at those stats now. Hey guys, another month has passed, so it's time to get statistical. As you might know, each and every month I share the 5 most watched lessons on the site. April was an interesting month for us. Google changed something in it's algorithm, and the result is that the site gets about 30% less visitors from Google search. Not good. We'll need to step up our presence on social media, so if you're reading this, please like and share this page with your friends on whichever social media platform you're active on. Thanks in advance! Now let's have a look at the list. Hello everybody, welcome to this month's report on the most popular guitar lesson on TheGuitarLesson.com. Every month, I like to publish my findings on what you guys have been up to, in the hope of motivating my students to learn more songs. 2018 is starting out strong, it looks like a lot of people got guitars for Christmas this year. It's been a cold winter in most parts of the world, it's freezing cold and snowing even as I write this post (in Europe). The US is the same. Australia? Not quite 🙂 The cold weather keeps people inside, and people pick up their guitar more. Statistical fact. And as Winston Churchill said, "I only believe in statistics that I doctored myself." So without further ado, here is the top 5 list of tutorials from February.